EM 3/c Jeames W. Moring, son of Mrs. Charlei Moring, attended Frederick Schools; husband of the former Dorothy E. Zweig. 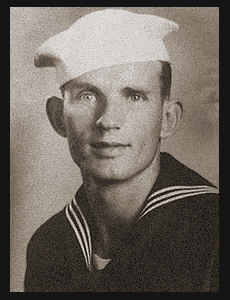 Entered Navy in 1944, trained in Farragut, Idaho, Whapeton, N. D.; served in the Admiralities, New Guinea, Guam, Iwo Jima, Saipan, Pearl Harbor and the Philippines; is now on duty in Farragut, Idaho. Awarded Asiatic Pacific, Am. Theatre and Philippines Lib. Ribbons with one Battle Star.